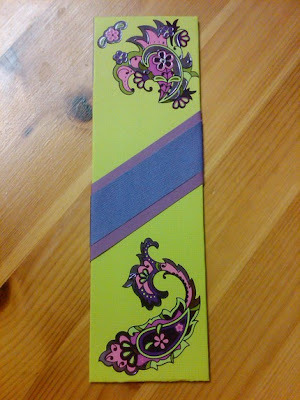 This purple and green bookmark compliments the paisley design beautifully! Polka dots will add a touch of whimsy to even the most boring read! A perfect gift for any crafters! Featuring the lady everyone loves to hate! 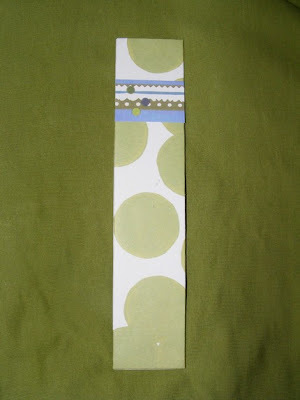 This week Bookworm Bookmarks is offering a $5 gift card to the winner of the weekly drawing! 1. 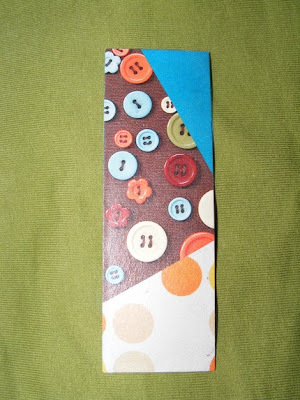 Check out Bookworm Bookmarks. Come back and tell us about your favorite item in the shop! 2. Be or become a follower of this blog! Entries will be accepted through midnight Saturday and the winner will be announced Sunday! My favorite is the "If I Only Had a Brain" bookmark, it's silly but so much fun. Thanks for the lovely giveaway. My Fav. is "Don't worry about a thing"
:) I'm a sucker for Winnie the Pooh. "Winnie the Pooh and Eeyore Thank You Bookmark" is an instant classic. How cute! 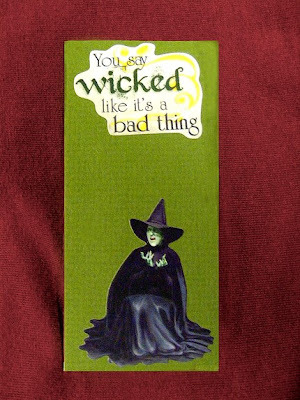 Love the "You say wicked like it's a bad thing"--too funny!